The Geminon series incorporates the beauty of symmetry into a serious vehicule of reckoning. The roadsters ride low to the ground for greater stability, and have a symmetrical shape (No front, or Back) ideal for free-riding. They all come with a fully color dipped and striped deck, and are versatile enough to cruise down hills or along the boardwalk. Top-mounted drop-through trucks and a fully dipped, striped deck with clear broadcast grip. 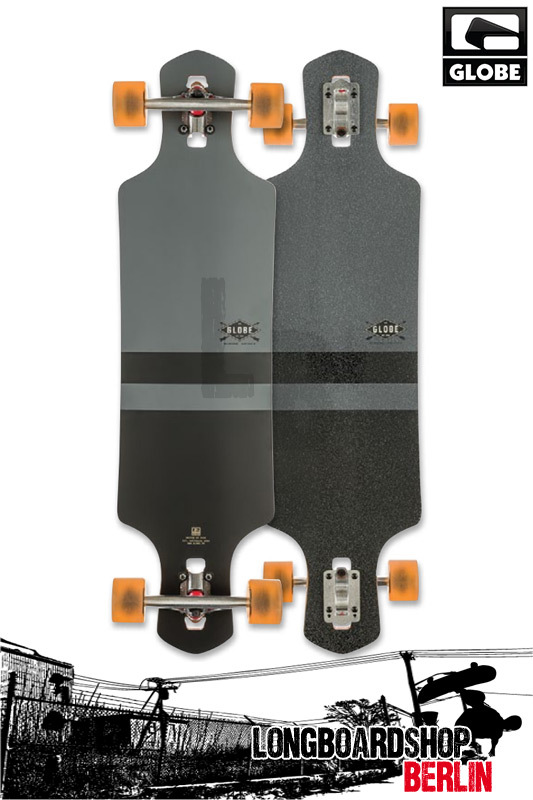 Globe Geminon Longboard Charcoal Black, jetzt bei uns im Shop!